Easy to use and matches my labels. Give your bottles a professional look! 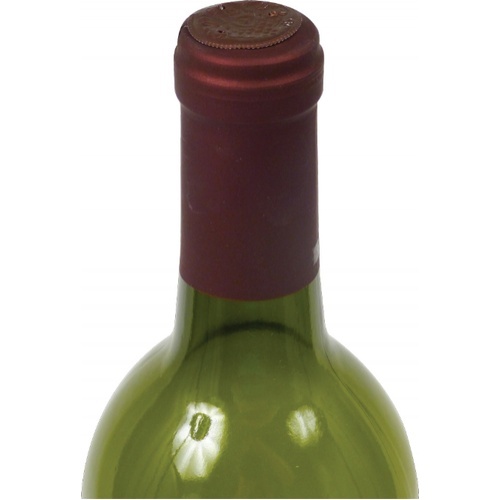 These capsules are a great way to give your bottles a "complete" and professional look. You didn't just spend months on end to let your bottles sit around looking shabby...spruce them up and legitimize yourself as a home winemaker by showing some pride! I recommend ensuring they are seated down all the way before heat shrinking them...once done applying heat, press down on the top to ensure they are "seated". Hard to get them absolutely smooth. Heating from the top seemed to work best, then move the heat gun down around the sides to smooth out. Simple step to add class to your homemade wine. Good to tell different vintages apart in your cabinet at a glance.